Commission President-elect Jean-Claude Juncker yesterday (2 September) met with the candidates for commissioners presented by the member states. Belgium, the only country that hasn’t yet submitted a candidacy, is expected to do so on 4 September. 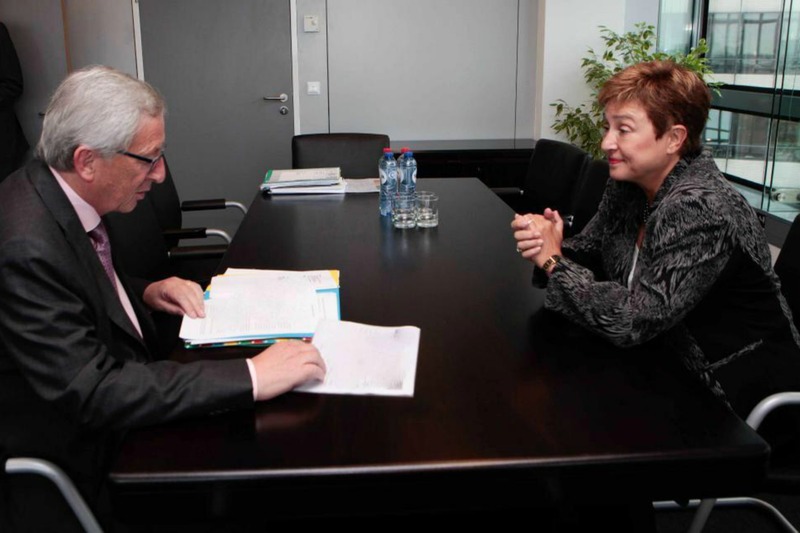 Juncker has already interviewed Bulgarian candidate Kristalina Georgieva, Slovenian candidate Alenka Bratušek and Dutch candidate Frans Timmermans. Juncker has interviewed Italy’s Federica Mogherini before she was appointed by EU leaders to be the next EU foreign affairs chief, Juncker’s spokesperson Natasha Bertaud confirmed. Mogherini, just as all other Commissioners-designate, will be auditioned by the European Parliament before it votes on the entire College. In a press release, the Commission says that the timing of the communication of the list of Commissioners-designate to the Council of the European Union will depend on Juncker receiving candidates from all member states. The issue is that Belgium, a country struggling to form a government since the 25 May general elections, hasn’t yet decided its candidate. Press reports say that liberal Walloon politician Didiers Reynders from the MR party, foreign minister in the caretaker government, is the frontrunner. Marianne Thyssen, a politician from the Flemish centre-right party CD&V is also seen as a possible candidate, together with the current Belgian commissioner Karel De Gucht, a Flemish liberal from the Open-VLD party. After the final list of Commissioners-designate is adopted, Juncker intends to announce the distribution of portfolios and the way he intends to organise the work of the next European Commission. This is not expected until mid-next week. Dnevnik, EURACTIV partner in Bulgaria: ?????????? ????????? ?? ???????? ?? ????????? ???????? ? ?????? ?????????? ?